We were looking forward to spending the night at Evason Ma'in Hot Springs Hotel in Jordan. We had heard that it was a wonderful experience sitting under its thermal waterfall letting the stress of life melt away. Unfortunately for us, the hot pool at our hotel was out of order and we couldn't enjoy sitting under the hot waterfall pouring over the ridge of the cliff towering overhead. It would have been nice. Instead they told us that we could catch a bus and go to the other springs down the road and pay 20 JD each to sit in that waterfall. (Almost $60 USD) We hear there is a public pool as well that charges 15JD per person. We didn't have anything else scheduled at to do and it was a little too cold to sit by the swimming pool. Access to the path below was cut off and we never did see the thermal pool so we spent the night watching TV. I am not sure if it is an excellent destination or not as we felt stuck sitting in the middle of the desert with nowhere to go and nothing to do. I think that if their hot spring is out of order, they should offer complimentary trips to the surrounding springs. We enjoyed their buffet breakfast though. It was delicious. Want to see someone that had an amazing time at Ma'in Hot Springs, visit Go See Write's A Slice of Relaxation Heaven in Jordan. 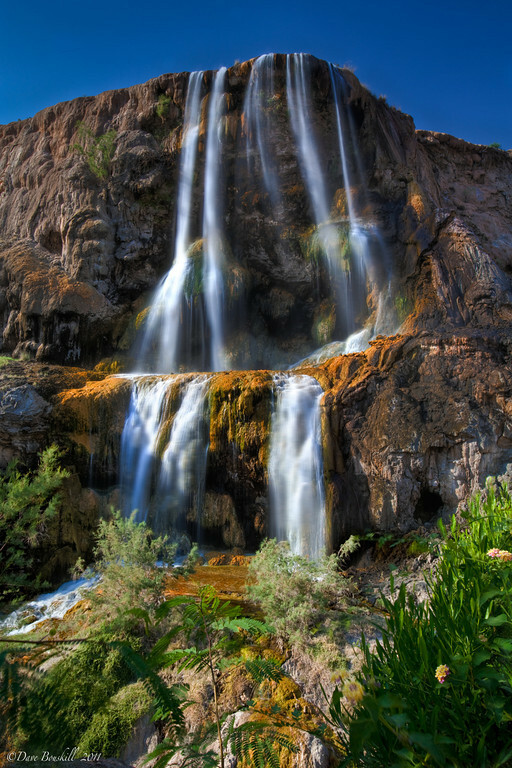 10 Responses to "The Ma’In Hot Springs Waterfall, Jordan"
How unfortunate you weren’t told about the free access! Greetings, i hope this note finds you, i am writing to you about your comment made during your stay at our resort Evason Ma’in. I would like to pint out that the main waterfall opposite the resort is closed due to natural causes, and the closure is for the safety of our guests due to rock movements in the area. However we have created another thermal pool with another waterfall behind the spa, and it is free of charge for all in-house guests, with a free shuttle van for the pool and back to the hotel. We are sorry that you did not have a wonderful and memorable experience as we in Sixsenses always strive to give our guests, please feel free to contact me again if you decide to stay with us. Hi Nabil, that is too bad that your staff didn’t let us know about the free access. We weren’t told about that, we were told about the charge for the other pool. That could have made a big difference. We understand that accidents and problems arise and that things can be closed due to technical difficulties. When there were other pools in the area, we couldn’t understand why the hotel didn’t arrange free access. I am glad that you rectified the situation. Maybe the confusion could have been clarified if someone from the hotel were there to greet us. But thank you very much for stopping by and letting our readers know that you now can go to the waterfall next door for free. How annoying! Yes, I think they should have transported you elsewhere as well! Amazing shot! $60 is not something I would have paid either just to sit in a waterfall, doesn’t matter how good it looks. I agree it’s too much. At least we had a pretty view. And I just looked up currency converter to double check my math. It would have been $58 for the two of us to go to the other hot spring that they told us we could catch the shuttle to. I thought I should be more exact on my conversion so I looked it up to be 100% sure.